Regulatory and economic reforms, increasing cost of compliance, changing global economic perspectives and technology disruptions are transforming bank's trading and treasury functions today. This puts pressure on Banks to become more efficient and agile while exceeding the needs of their customers. Banks of all sizes are looking to drive true transformation so they can link human needs with banking offerings while leveraging investments in their existing core banking systems. Treasurers face multiple challenges such as ensuring robust liquidity, protecting core income and optimizing assets all while trying to be profitable. Because these challenges require a modernized core platform, Credence Analytics iDEAL - Banks offers an integrated front, middle and back-office treasury solution that covers the entire deal life cycle for a wide range of trading and capital markets products. Credence iDEAL is an integrated STP treasury solution addressing the complete treasury management requirements of banks and financial institutions. iDEAL covers a wide range of products including foreign exchange & money market, bonds & securities, derivatives, equities, mutual funds, securities lending, etc. iDEAL addresses the functionalities across the front office, mid office and back office of the treasury. Additionally, iDEAL also has extensive risk management capabilities built into the solution to help the bank track, assess and leverage the various strategies available. 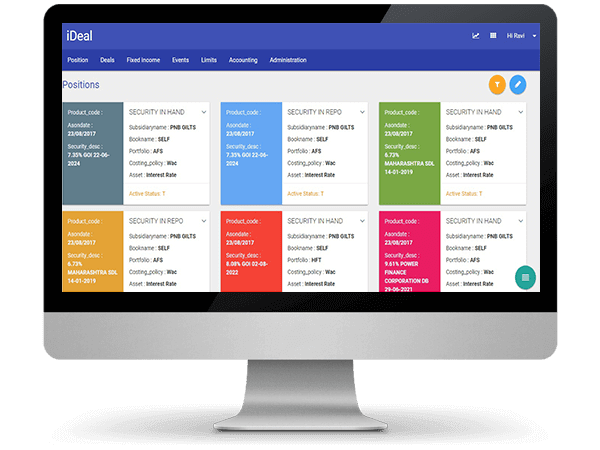 iDEAL has a range of user-friendly and intuitive tools to assist the dealers, risk managers and operations team to run a very highly efficient and profitable treasury outfit with maximum scalability. To know more about ideal integrated treasury management please click here. Credence MercuryFx helps the organization improve its Money Changing Process efficiency, and is scalable to keep pace with business growth. It is a trend setter in putting Enterprise Instant Messaging to business in treasury. 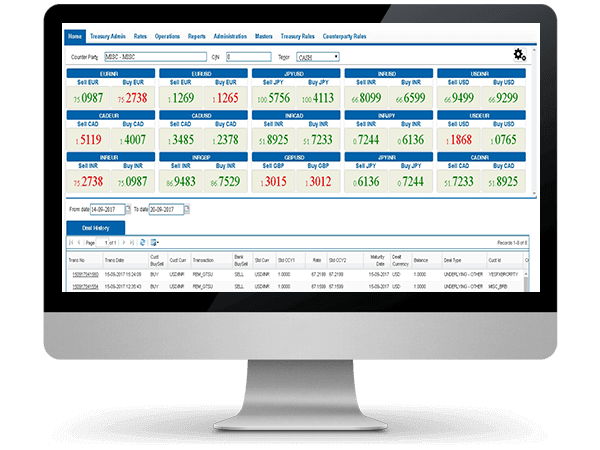 Mercury is a browser-based customer foreign exchange transaction work-flow management solution.It enables straight through processing to completely automate Retail Fx products business including TCs, DDs, prepaid FX cards, Wire Transfer and Remittances. MercuryFx solution has built in controls for inventory management of TCs/DDs and compliance support in respect of walk-in customers. To know more about MercuryFx please click here.